Private instruction by appointment. Call 631-348-7199. BEGINNERS WELCOME. 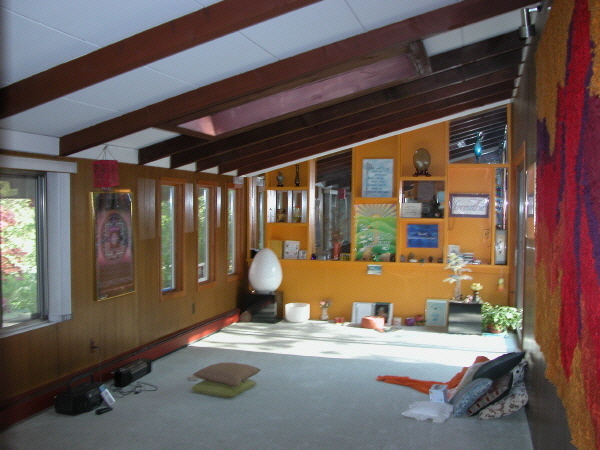 Visit www.gracewelch.com to view Yoga studio. Wednesday, MARCH 21 10:30 am to 11:30 I will be teaching a class for seniors at the CENTRAL ISLIP PUBLIC LIBRARY, 33 Hawthorne Avenue, (north of Suffolk Ave.) This would be a good opportunity to be introduced to Yoga. Free. For those who are practicing NETI (nasal lavage), it is recommended that the Neti Pot and water be sterilized. Water should be body temperature, with ½ teaspoon of sea salt thoroughly mixed. DO NOT share your Neti Pot with anyone else. SMALL GROUP OF MY STUDENTS ARE PLANNING A WEEKEND AT THE SIVANANDA YOGA RANCH IN WOODBOURNE, NEW YORK IN THE CATSKILLS. We were thinking about MAY 18-19-20. If you would like to join us, let me know as soon as you can. For more information visit www.sivananda.org/ranch. As always, I wish you good health, good friends and good times. More and More Doctors are recommending YOGA for better health.